Enter your email to subscribe to our monthly e-updates. Erik Smith on How do you recognize your volunteers? There are many advantages to volunteering in your community. Whether it’s a one-off event, or a long-term position, giving back through volunteerism shows dedication, and highlights your attitude towards the well-being of others. In this day and age, many employers consider volunteering “real” work experience, as these opportunities are both valuable learning experiences and require a great deal of dedication. Many volunteer organizations have one or two big events each year. Though these are huge fundraisers for them, the events usually surpass the amount of manpower and capabilities of staff members. This results in a need for support from community volunteers. These short-term opportunities allow you to diversify your experience with several different positions across many events or fundraisers. You may find yourself helping with registration at one event, then at a prize booth at another. Volunteering at a few one-day events each year will help you achieve your community service hours quickly. You may even decide to continue volunteering long after your hours have been completed. One-day events take less time from your schedule, so these types of positions can be great for busy people. Volunteering for a few hours on a weekend is do-able for most and still allows you to give back to the community. Volunteering at one-day events gives you the opportunity to meet dozens, if not hundreds, of people. It is a great chance to network and make valuable connections in the community – something that may be helpful for you down the road. 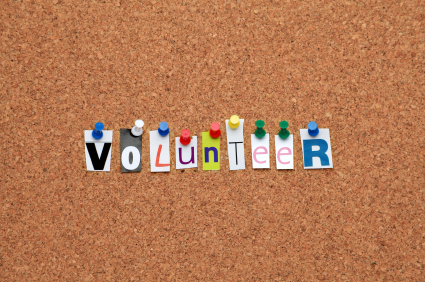 When a large event has wrapped up, there may be no more work for the volunteer until the following year even though a volunteer may be interested in further contributing their time throughout the year. It can be a little overwhelming if you’re new to the role and not very familiar with the organization you’re volunteering for. Be sure to take advantage of orientation sessions and know who to ask about the organization and your role when you have questions. There is limited ability to apply your expertise and skills in a short-term position or to learn new skills. There is limited time to get to know people in depth. Consider exchanging contact information to meet new acquaintances again after the event has wrapped up. Usually, long-term positions, such as committee or board positions allow you to fulfill a “role” such as Sponsorship Coordinator or Food and Beverage Coordinator. As you gain experience in the community, you may take an interest in a particular organization or role, and ask to join the group of volunteers who plan the events. You will be responsible for the success of this aspect of the event. You may even be interested in being a Volunteer Coordinator, ensuring positions similar to ones you had volunteered for in the past are filled. You can learn a lot by volunteering on a committee or board. Even though you’ll likely have a dedicated role, you will still hear the updates from others, and perhaps even give feedback or useful suggestions to help them out. For example, when the Treasurer gives an update about the budget, it’s a good opportunity to understand the financial side behind the effort you’re volunteering for, or if the Volunteer Coordinator mentions they are struggling to recruit enough volunteers, you may have helpful suggestions for them. Long-term volunteering looks great on a resume. It shows dedication towards your community, a strong work ethic, and an eagerness to expand your knowledge and skill base. Additionally, these opportunities may help to fill gaps in your resume, such as school terms, or if you’re in between jobs. You have an opportunity to develop meaningful relationships and get to know people on a deeper level when you meet often during volunteer shifts, at events, etc. Often, those friendships grow beyond your role and blossom regardless of whether you are volunteering or not. Committee or board work can be a significant time commitment, upwards of a few hundred hours per year, depending on how much work you take on. Make sure you know what your limits are, and communicate them with the Chair of your committee or Volunteer Manager. Because these roles often have a greater level of responsibility, it’s important the work does not prevent you from fulfilling your other responsibilities, such as work, school, family, and friends. Depending on the nature of the work, you may begin to develop a strong emotional connection. Most times it is not a bad thing, but can be if left unnoticed. Be sure that you don’t bring any emotional baggage home with you. If the work becomes overwhelming, talk to someone you can trust about your difficulties and think of ways to help offset the stress – even if it means finding a different volunteer opportunity. You may notice increased expenses if you are required to do a lot of driving, or purchasing items on behalf of the organization. Be sure to ask if these costs can be reimbursed, such as by submitting mileage, or expense claims. Regardless of whether you’re able to volunteer for a few hours on a weekend, or long-term over the course of years, the greatest part about volunteerism is the satisfaction you feel when you know you’re making a difference. Many people don’t realize the time and effort that goes into volunteering (e.g. putting events and fundraisers together). Only through volunteering with an organization, can you appreciate the effect that volunteers have. Many organizations only have a small number of staff members due to budget restrictions, and support from volunteers like you is essential to their success.